Children need dental care as much as adults. Just because those adorable little baby teeth are eventually going to be gathered up by the tooth fairy, doesn’t mean they don’t need proper oral hygiene and exams. To set your child on the right path toward a lifetime of healthy smiles, 77406 dentist Dr. Vong recommends a first appointment shortly after their first tooth appears or by the time they are one year old. This may seem quite young, but at this early appointment Dr. Vong can check your child’s oral development and formulate a treatment plan if there seems to be any concern. After this initial appointment, the bulk of your child’s oral health care takes place at home until they start coming to Richmond, TX, children’s dentist Dr. Vong for regular checkups around the time they are two or three years old. Begin brushing your children’s teeth when that first pearly white appears, and floss when there are two teeth touching. Use a small, soft brush and water until they are old enough to spit. Then you can add just a dab of fluoride toothpaste. Try to make brushing and flossing a fun activity—sing, tell a story, or make brushing a family affair that everyone participates in. Dr. Vong and her team strive to make sure your children enjoy their visit to VL Dental. We want them to have an experience that is comfortable and even fun, so they will always have pleasant memories of seeing the dentist—memories that can make oral health care a lifetime habit no matter where they live. Children's dental checkups are similar to those for adults with a few differences. We not only examine their teeth, we count them, too. We’ll check their gums, because kids can have gum disease, too. And then one of our friendly hygienists will brush their teeth and take digital x-rays to find any hidden spots of decay. To help prevent decay, Dr. Vong may recommend fluoride treatments and dental sealants. Fluoride is a mineral that has been proven to not only strengthen tooth enamel—the first line of defense against decay—but to also rebuild enamel that is beginning to weaken. Dental sealants go on as a liquid plastic and then harden to create a barrier between teeth and the bacteria that can lead to cavities. Sealants are usually applied to your child’s molars, which are most susceptible to decay because they are deeply grooved and harder for little hands to keep clean. Call our Richmond dental office today. 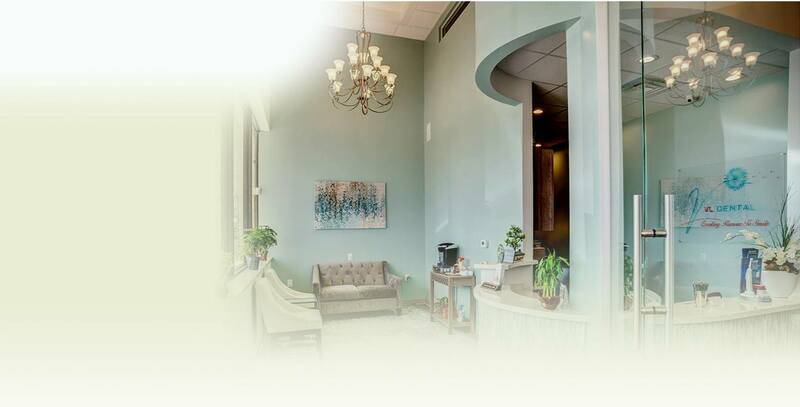 We are the family dentist Richmond, TX, families and those from Pecan Grove, Sugar Land, Rosenberg, Crabb, Booth, and all surrounding communities turn to for complete dental care.